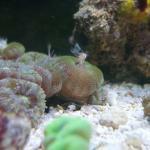 I'm starting a marine tank and loved this forum so much. I'm gonna try to post my progress on this thread and any any any comments, info, ANSWERS, and even questions are very much WELCOME and appreciated. I'm a learner, never had an aquarium before and you can imagine that...! So, here we go ! That's wasn't hard at all (I havent told her anything about costs....). She even told me that she will redecorate the room with some marine theme (?). STEP 2- AQUARIUM ADVICE RESEARCH (couple of months)AND TODAY, MY REGISTRATION. This forum is amazing and by following it I think anyone will be able to build an aquarium, even me! I've heard and totally agree that a 75g would be great for a starter. Everything I found at CL was so creepy and wasn't encouraging me so much but after taking a look a prices of a new tank I decided to keep searching at CL. Finally found a 75 gallons glass, not bad at all, with a stand and canopy (lovely color), a sump for 200$ so I decided to buy it. By following this forum, I've concluded that I should create a list of equipment and supplies that will be necessary for a "beginner" tank. Please add anything else you think I may need (even after start running it). I'm thinking about a reef/fish tank. So the question that comes up is: what lights were ordered? Just to be sure they will work. Also you might want to consider a little live rock to help seed the dry rock. Adding shrimp to decay will give you some beneficial bacteria but some would argue that there is a large array of beneficial bacteria that can't be found anywhere else but on live rock. Now I don't think there is any evidence to prove that having that variety will make a huge difference but if it were mine I would probably want a variety of bacteria in my tank. Hopefully some other reefers can jump in. Or love sand should have BB. Ocean direct is a newer brand of live sand that offers a wider variety of bacteria than others. At least that's what I saw on BRS TVs episode. GPH = 40-50x your tank volume. Sorry for so many replies! I just keep thing of things! As for test kits, you may want to read about the different brands. Lots of people have been talking about the in-accuracy of API test kits lately. I use them and haven't really had a problem. At first the tests you will need include ammonia, nitrate, and nitrite. After that, and as you get closer to setting up a reef, you will probably want to test for KH, pH, Ca, Phos. There are a couple others that people test but I believe those are the main ones. 78 degrees and salinity of 1.024-1.026. Thank you Searchin. Lots of info here...! This is amazing. I'm thinking about put some live rock... but what would be a good amount...? Ok theres a few things I have for you. #1 there is no true rule to the amount of rock you need. It all depends on what you want your tank to look like. I have ran my 75g with 50lb's of live rock with a HUGE bioload. The whole 1-2lb per gallon rule is BS and imo 150lbs of rock is WAY to much for a 75g. Infact I wouldnt put more then 75lbs of rock in a 75g. #2 If you want easy maitnence and the best possible water quality look into doing a bare bottom. 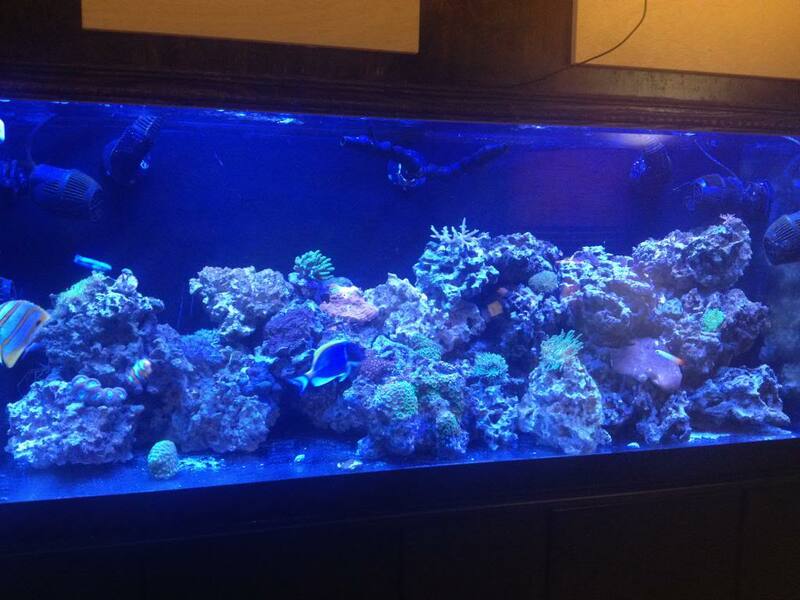 For some reason on this forum people arnt in to them but on other forums most people are starting to go that route on their reef tanks because the main goal is to have as little nutrients in your tank as possible and sand beds jsut habbor nutients and release them into your tank. There is no reason to have one other then looks. There will be someone who arrgues with me about this but I assure you there is no need for one. I have 4 reef tanks every one of them is Bare bottom and my corals grow twice as fast as they ever did with a sand bed. #3 Post your lighting when you find out what it is. If theres one thing in this hobby that new people dont understand its how important lighting is and how many people will tell you Oh that light will be fine but they have no understand of how corals are effected by light. The two best things I ever did in this hobby after having to rebuild my 75g after having hydriods kill 900$ worth of coral because they came in on my single peice of live rock i put in the tank was going bare bottom and using only dry reef saver rock from Bulkreefsupply. Ya that bare bottom is a big topic lately. There are definitely good and bad things about each ways. You just have to figure out what you want your tank to look like I guess. The 1-2 lbs of rock/ sand is a good rule to follow at lower tank volumes. At larger ones it can definitely be your preference. Thanks CleverBs for all the info. I'll use the shrimps and dry rock from BRS definitely. Nice pics by the way!! !